Specialist in the history of Counter-Reformation priestcraft in 17th and 18th century France, Joy Palacios investigates religious practice through the lens of performance. 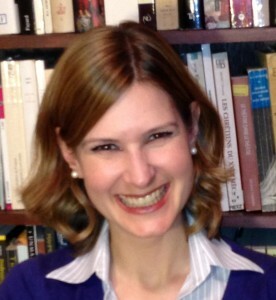 Her current book project focuses on the way seminary training shaped clerical attitudes toward the theater, with particular attention to the rehearsal and role-playing techniques by which parish priests learned to conduct liturgical ceremonies. Dr. Palacios is an assistant professor of literature (Ancien Régime) in the French Department at Simon Fraser University in Burnaby, BC, Canada. She holds a doctorate in Performance Studies from the University of California, Berkeley, USA.